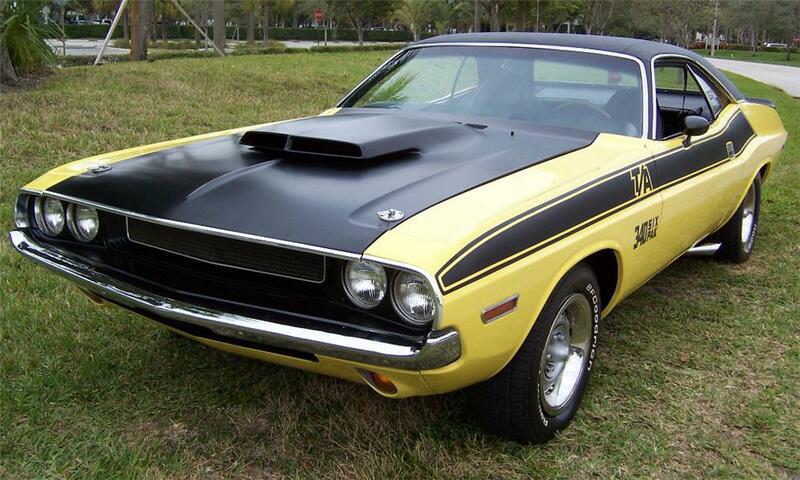 Challenger T/A, 340 6 pack, 4 speed, Original trim tag (correct). Factory broadcast sheet, rotisserie restoration. 100% ORIGINAL BODY PANELS. ACTUAL MILEAGE, ORGINAL BROADCAST SHEET. 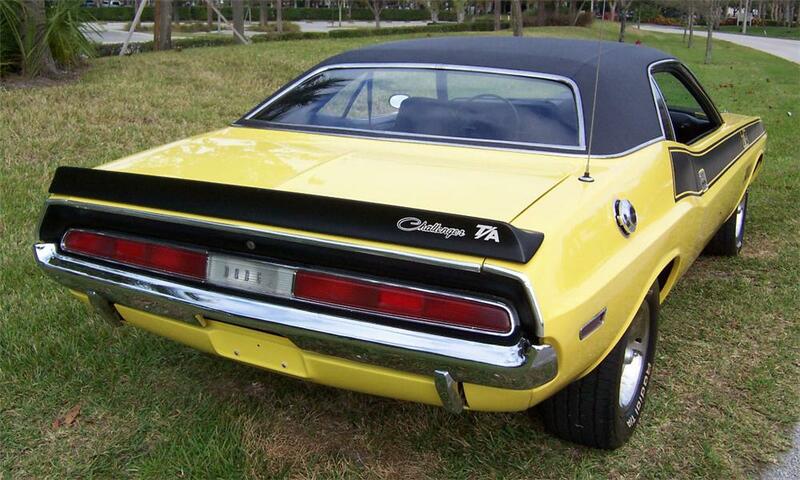 Featured only in 1970, the Dodge Challenger T/A (Trans AM) was a racing homologation car. In order to race in the Sport Car Club of Americas’s Trans American Sedan Championship, Trans Am, Dodge built a street version of its race car (just like the Plymouth with is Plymouth ‘Cuda AAR) which it called the Dodge Challenger T/A. 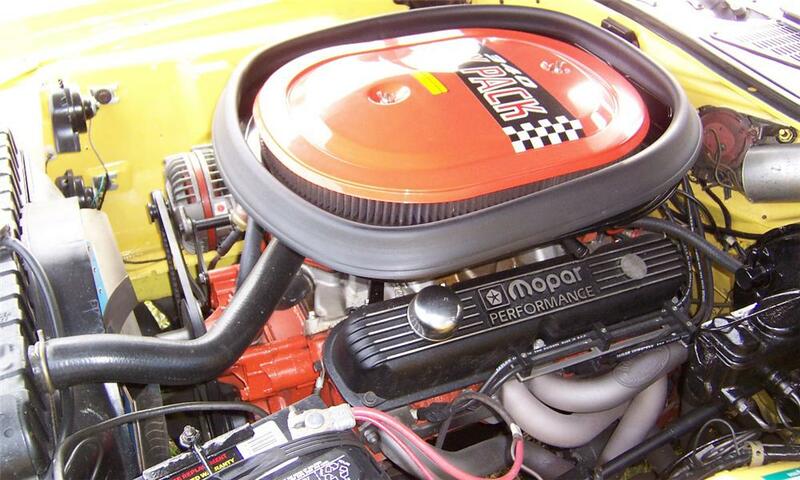 Although the race cars ran a destroked version of the 340, street versions took the 340 V8 and added a trio of 2-barrel carburetors atop an aluminum intake manifold, creating the 340 Six Pack. It sucked air through a suitcase sized air scoop molded into the pinned down, hinged matte black fiberglass hood. Low-restriction dual exhaust ran to the stock muffler location, then reversed direction to exit in chrome tipped ‘megaphone’ outlets in front of the rear wheels. Front disc brakes were standard. The special Rallye suspension used heavy duty parts and increased the rate of the rear springs. The T/A was one of the first US muscle cars to fit staggered tires front and rear: E60X15 Goodyear Polyglas in the front, and G60X15 on the rear axle. Thick dual side stripes, bold ID graphics, a fiberglass ducktail rear spoiler and a fiberglass front spoiler were also included. 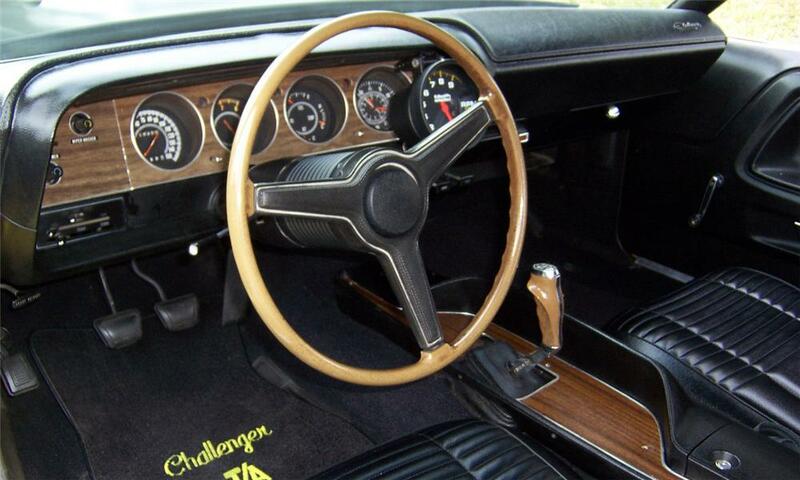 The interior was identical to other Challengers. 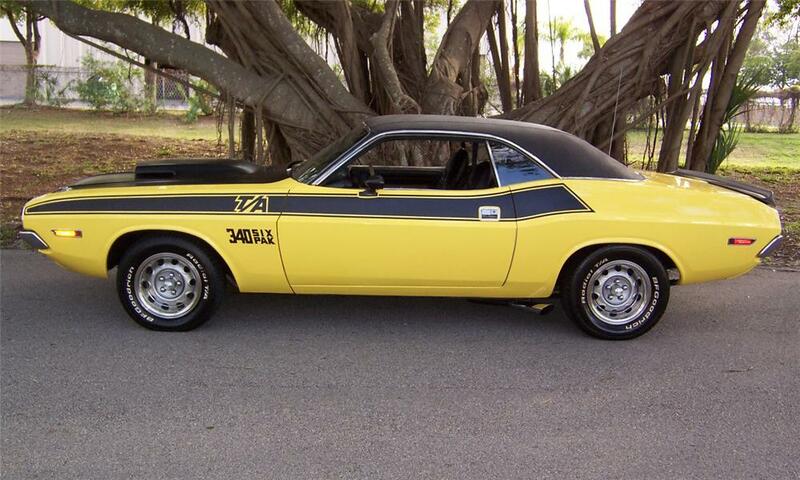 This is one of 2,399 total 1970 Dodge Challenger T/As one of 989 with factory option Hurst pistol-grip 4-speed transmission The original Broadcast Sheet is included with the car.